Theresa May is running out of options to secure her survival and the passage of a Brexit deal. Conservative MPs are threatening to torpedo her plans. The only viable option left open to her is to change course and accept the softest of Brexits, with Britain effectively staying in the EU Single Market and Customs Union. Doing so would trigger fury from Conservative MPs but would open the door to securing support from opposition parties. 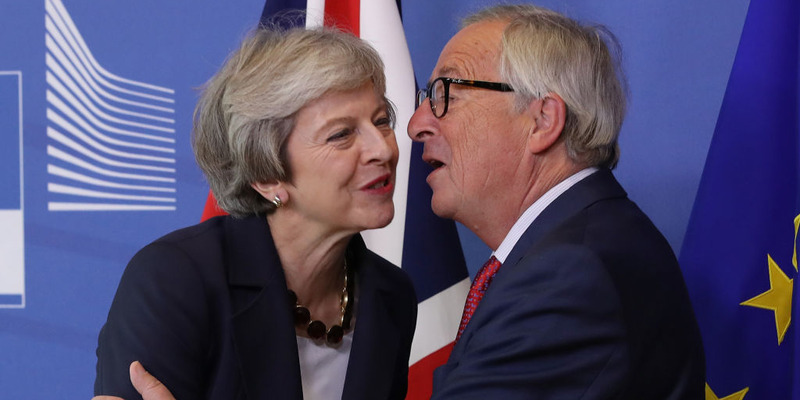 May has just months to secure a deal or risk a catastrophic exit from the European Union. LONDON – The last few weeks of the Brexit process must have felt like the closing stages of a particularly brutal chess game for Theresa May. At every turn, the options open to her have been gradually whittled away until all of the available moves are obviously bad ones that will either lose her crucial lieutenants or rapidly force her into an early checkmate. As a result, she now enters what the Times today calls “the most perilous week of her premiership,” with Conservative MPs poised to move against her. And yet as she leaves Brussels late on Friday there remains just one option left which promises, if not victory, then at least short-term survival for the prime minister. That option is a soft Brexit. At first, this may sound like a ludicrous proposition. A soft Brexit, in which Britain stays closely aligned to the EU single market and the customs union, would trigger outright fury from a large chunk of the Conservative parliamentary party, not to mention the grassroots across the country who are even more pro-Brexit than their parliamentary representatives. It would also likely trigger a challenge against her with the necessary 48 Tory MPs submitting letters to party authorities calling for a new leadership vote. With Brexit just months away and the prospect of a no-deal increasingly frightening British businesses, the case for her to stay on at least until after Brexit day would be a very easy one for her to make. A soft Brexit would also largely solve the Northern Ireland dilemma, which currently threatens to wreck the entire Brexit process, and risks triggering the break up of the United Kingdom. Just as importantly, it is the only available option left which has a potential majority in parliament. With Labour committed to maintaining a customs union with the EU, while maintaining the “exact same benefits” of the single market, a soft Brexit is the only option that has even the possibility of securing their support. 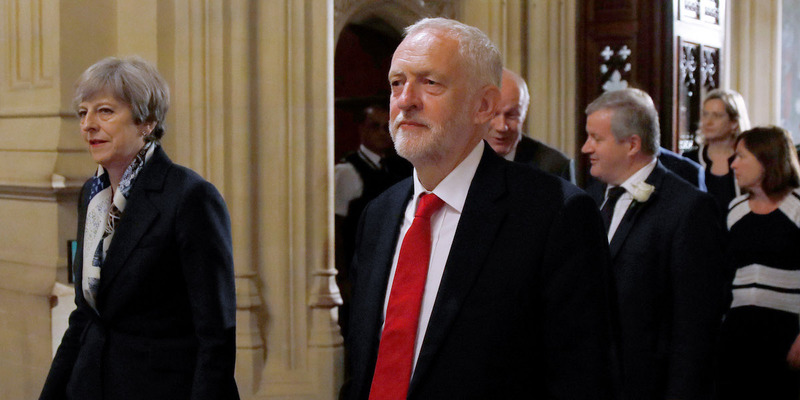 Even if dozens of Conservative MPs and the DUP were to vote against May, the deal could still potentially pass thanks to the support of hundreds of Labour MPs. The Labour leadership may still find a reason to vote against such a deal, especially given their main aim in this entire process is to force an early general election in which they expect to emerge as the winners. But there would at least be a chance of a majority in the UK parliament. Under May’s current Brexit plans there simply isn’t. Of course May could do all of this and still be forced out. Staying in a customs union would prevent Britain from signing new trade deals, destroying a major Brexit promise and rendering Trade Secretary Liam Fox useless, while staying closely aligned to the single market would mean accepting some form of freedom of movement to continue after Brexit. Both risk potentially deadly outrage in her own party and the country which she may be unable to survive. But a decisive shift towards a soft Brexit would at least leave a path open to survival for May. Right now there are only bad options left for the prime minister. But while her current course points to certain checkmate, the soft Brexit option would at least allow the game to continue for a few more moves. This reality will ultimately prove itself when MPs come to vote on her deal early next year, whether May yet realises it or not. The prime minister would be wise to wake up to that reality now rather than have it forced upon her later.